We are not going to talk about begging Jesus on our knees for healing. I suppose many people have taken this passage as an example of what to do when we sincerely desire to be healed of an affliction. But just about as many people have been disappointed to find that Jesus did not respond to them in the same way as he responded to this leper. So there is no sense in our pretending that if we go to Jesus on our knees and beg for healing that we will assuredly receive it. We believe that Jesus has given us the greatest healing of all — healing from our sins — but he does not always heal our physical ailments. We trust him to do what is right and good for us and to stand with us in our suffering. Nor are we going to talk about offering the sacrifices that Moses commanded for cleansing. Much has been said and written about the differences between the old and the new biblical covenants; there is no need to cover that again here. 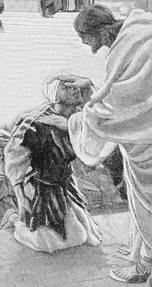 Jesus did not want the healed leper to tell anyone about his healing. A man with leprosy came to him and begged him on his knees, “If you are willing, you can make me clean.”Jesus was indignant. He reached out his hand and touched the man. “I am willing,” he said. “Be clean!” Immediately the leprosy left him and he was cleansed. Should we applaud the former leper, or should we lament his disobedience to Jesus’ strong warning? I am reluctant to try to answer that question, except to say that I have found that it is smarter to obey Jesus than not to obey Jesus. In today’s world we have the view that telling people about Jesus by whatever means we can muster is the most important activity in which we can be involved. So when we read that the healed leper went out and “began to talk freely, spreading the news,” we tend to get excited and wish we could have that same overwhelming joy and evangelistic fervor. For this reason, many of us like to magnify healings and other miracles into advertisements and publicity opportunities for the gospel. But Jesus did not want that man to go out and spread the news. Jesus wanted his identity as healer of the sick to remain secret. In verse 34, we read that Jesus would not let the demons speak because they knew who he was. Similarly, in chapter 8, Jesus asks the disciples, “Who do people say I am?” Peter replied, “You are the Christ.” Jesus responded by warning the disciples not to tell anyone about him. That is the very opposite of what we might have expected. We want everyone to know about Jesus. But Jesus did not want everyone to know about him. What’s going on? Perhaps one of the reasons Jesus gave this order lay in the expectations of the crowds who followed him. What did they want? What were they looking for? In chapter 11, we find a clue. When Jesus entered Jerusalem the week before he was crucified, “Many people spread their cloaks on the road, while others spread branches they had cut in the fields. Those who went ahead and those who followed shouted, ‘Hosanna!’ ‘Blessed is he who comes in the name of the Lord!’ ‘Blessed is the coming kingdom of our father David!’ ‘Hosanna in the highest heaven!’” (Mark 11:8-10). When people heard that Jesus was the Messiah, they were happy to receive the news. The problem lay in definitions and expectations. What the people expected Messiah to be and to do was quite different from what Jesus the Messiah came to be and to do. The people expected a king who would rally the people, and with the blessing of God, lead them to victory over their Roman conquerors and restore the kingdom of David in all its glory. They did not understand what Messiahship was all about. Their idea of Messiah was different from God’s idea of Messiah. When they heard the term, they misunderstood it, because they had been conditioned to expect something else. With this in mind, it becomes clearer why Jesus did not want his disciples or those he healed to spread the news about him. It was not the right time for the people to hear. The right time for the news to spread was after Jesus had been executed and raised from the dead. Only then could the real purpose of God in sending Messiah be understood for what it was. In our world today, there are many concepts about God. If you talk to 10 people on the street, you will likely find 10 different opinions about who God is, what God is like, how God deals with humans and what God expects of us. Surveys by George Barna have shown that even among Christians, ideas about who Jesus is, what grace is and how it works, sin, forgiveness, faith, repentance, obedience, etc., vary widely. How much more do ideas about Jesus vary among non-Christians? Suppose I approach a stranger sitting on a park bench and ask him if he knows Jesus. Suppose the stranger’s idea of Jesus is that of a long-haired, wispy-looking weakling. Suppose his mother used to tell him that Jesus didn’t like it when he played cards. Suppose his most frequent exposure to the word Jesus was on a dirty cardboard “Do you know Jesus” placard glued in the parking garage of his apartment building. People listen to friends. People listen to those who have proven they care. What would likely be the first impression this man would have of me and my question? Would that promote the gospel? Suppose, on the other hand, I met the man, and over a period of time developed a relationship with him. Suppose we became friends. Suppose I was not a flagrant hypocrite and that my life and the way I treated this friend usually reflected the love of God. Suppose he found out, as friends usually do, that I was a Christian. Would that tend to change his flawed perspective on Jesus and Christianity to a more accurate one? Ecclesiastes 3:1-8 points out that there is “a time for everything, a season for every activity under heaven” (New Living Translation). Among these are “a time to plant and a time to harvest” and “a time to be quiet and a time to speak up.” The time to spread the news about Jesus came after his resurrection, not during his ministry; until his resurrection, there could not be sufficient understanding of who he really was. Even the disciples were consistently ignorant about Jesus’ full identity and mission until after the resurrection (Mark 6:52; 8:17). The same principle applies today — people are often not ready to hear and comprehend who Jesus is until they experience his resurrection life in his people, the church. “Be careful how you live among your unbelieving neighbors. Even if they accuse you of doing wrong, they will see your honorable behavior, and they will believe and give honor to God when he comes to judge the world” (1 Peter 2:12, NLT). Peter does not say, “Press your unbelieving neighbors for a decision.” His focus is on believers’ “honorable behavior.” Why? Because through our honorable behavior, our unbelieving neighbors see the living Christ in action. Peter says this will result in their belief at a time when God chooses (“when he comes to judge the world” implies God’s timing, not ours). “Most important of all,” Peter says, is that we “continue to show deep love for each other” (1 Peter 4:8, NLT). In a similar vein, Paul wrote, “As we have opportunity, let us do good to all people, especially to those who belong to the family of believers” (Galatians 6:10). Their instruction on evangelism centered on the witness of a godly life in Christ, not a well rehearsed speech. It is our lives in him that show people who Jesus really is. “Instead,” Peter wrote, “you must worship Christ as Lord of your life. And if you are asked about your Christian hope, always be ready to explain it” (1 Peter 3:15, NLT). When a person asks about our Christian hope because we live as though Christ is the Lord of our life, then that person has a more accurate perspective of Jesus because he or she has seen Jesus in us. They ask because the Spirit prompts them, and the catalyst the Spirit uses is our godly behavior in Christ, the Lord of our life. And our conversation, Paul said, should be “gracious and attractive so that you will have the right response for everyone” (Colossians 4:6, NLT). People listen to friends. People listen to those who have proven they care. People listen when the relationship is real, not artificial. Peter wrote: “God has given each of you a gift from his great variety of spiritual gifts. Use them well to serve one another” (1 Peter 4:10). God has richly blessed us with active parts in his work of building up the body of Christ, the church, and reaching out with the gospel to nonbelievers. The greatest tool he has given us is his own life, ministered to us by the Holy Spirit and reflected in the way we live. What gifts has God given you? How do you manage them? Does God’s generosity flow through you? Who is God nudging you to get to know better? When we pray for people, we tend to show them more active care. Which nonbelieving friends or neighbors are you actively praying for?